Grader: Fr. 712 $1 1918 Federal Reserve Bank Note . Proof of the PPQ designation is in the bold embossing of this lovely New York ace. Variety: Fr. 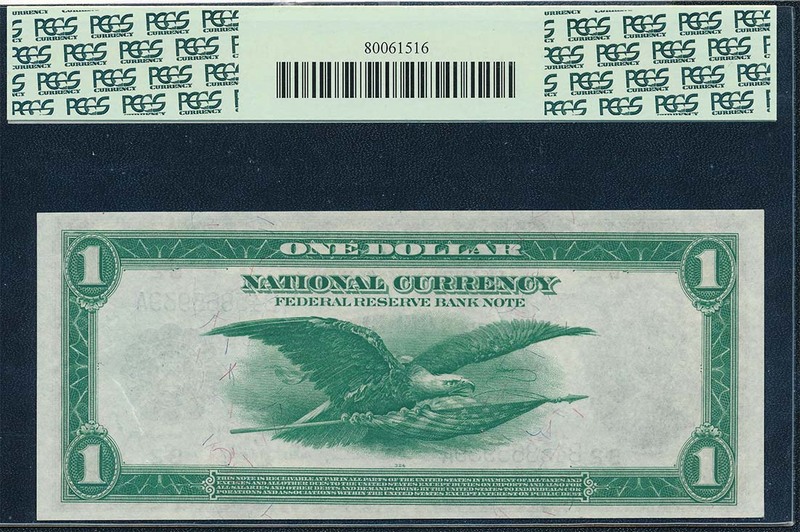 712 $1 1918 Federal Reserve Bank Note . Proof of the PPQ designation is in the bold embossing of this lovely New York ace. Fr. 712 $1 1918 Federal Reserve Bank Note . Proof of the PPQ designation is in the bold embossing of this lovely New York ace.